We've heard of the possibility of Google announcing a mid-range Pixel 3 lite phone but we weren't really sure when. There were a couple of codenames that were mentioned in an APK teardown: Sargo and Bonito. These are both the names of sea-dwelling creatures like the previous codenames that Google has used for both Pixel and Nexus devices in the past. 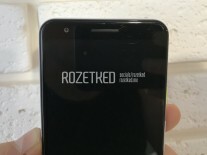 Today's new leak reveals much more about a mid-range Google phone thanks to some new leaked photos released by Rozetked, the same website that had its hands on the Google Pixel 3 XL and released a full-hands on video over a week before the official event took place. 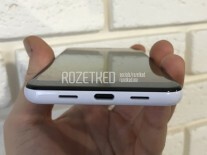 The photos reveal that Google's new midrange smartphone will have a 3.5 mm headphone jack and a design akin to the Google Pixel 2. 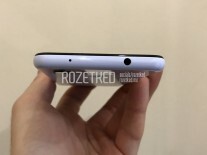 Otherwise, the photos show the phone to have a glossy frame, which means it might be made of plastic. 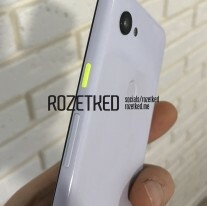 The white model that was photographed has a neon green power key and otherwise looks just like a Pixel 2 with a headphone jack and a taller display. 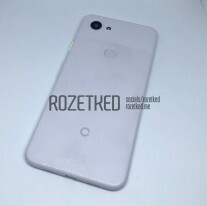 According to these specs, this midrange Pixel could have a comparable camera to the Pixel 3. If Google manages to get its top-playing camera on a mid-range phone, it could change up the mid-range segment - depending on the price, of course. 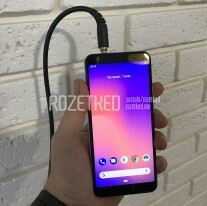 If Google puts the same camera as on the Pixel 3 it might be able to get away with asking for something at or above the OnePlus 6T's retail price of $549. So the more money you pay the fewer features you get. What's up with that, Google?